DescriptionYou're traveling to Paris with baby with your own stroller but don't have a footmuff? 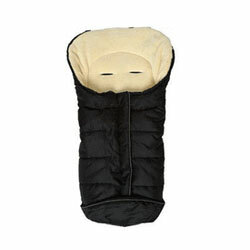 Rent this Babysun Nigloo Deluxe footmuff to make sure baby will be warmly installed. Easily attached to the stroller using the 5 point harness. Fleece 100% polyester lined for the inside. Waterproof and windproof for the outside. Suitable for children aged 6 months - 3 year old.